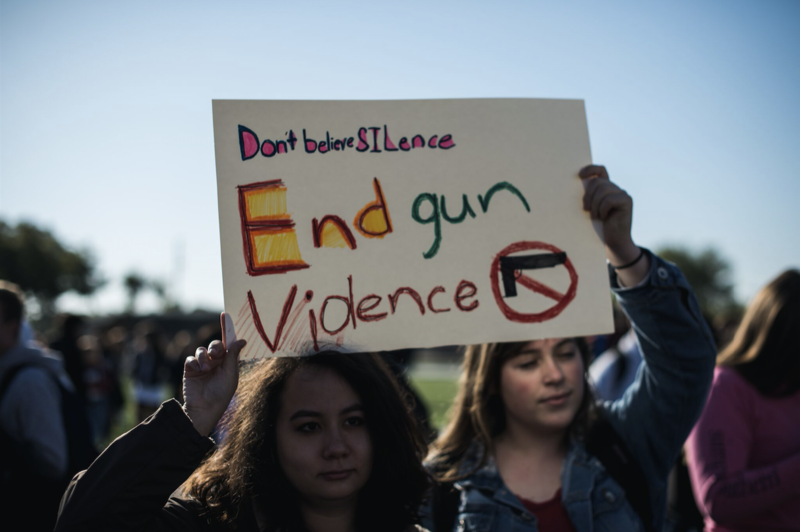 Lake Howell High School students protested gun violence during a walkout on March 14. This week, Campus Safety planned an active threat drill, and as a resident of Parkland, I know the importance of each individual’s actions. I know how being underprepared for an active shooter situation can change an entire community forever. The purpose of this drill is not only to practice preparations for an active threat, but also to learn how to improve security in that situation. The purpose of the drill was to ask those difficult questions so that areas of concern could be addressed and improved. “One of the biggest challenges that we face is the overall comfort on our campus… This leads to complacency, a lack of preparation, and not taking emergency communication seriously,” Miller said. My hometown of Parkland is a place parents choose to live in because of the safe, family-oriented environment. Much of the ‘it could never happen here’ sentiment in Winter Park was held with the same confidence in Parkland; therefore, no one expected such a tragedy would take place in such a tight knit community. On Feb. 14, I walked into the music room at my high school in Fort Lauderdale to see the headline “Shooting at Stoneman Douglas High, Parkland.” I was floored. The school where my childhood friends went every day was now ground zero. That music room went silent. We all turned to social media looking for hope. The Broward Sheriff’s Office would post confirmed updates on Twitter, and the students inside cried out for help on Snapchat. They posted videos and pictures from inside locked classrooms, not knowing if it would be the last thing they would ever do. Soon after the tragedy, a candlelight vigil was held, where I saw faces I have not seen since middle school. As speeches were made, there was a thought that kept running through my mind: this is my home. The streets I saw every day were now lined with emergency vehicles and news vans as far as the eye could see. Then came the activism. The March for Our Lives rallies were held with the intention of inspiring change in local and federal policy against gun violence. The epidemic of school and mass shootings is a complex issue to tackle. The fact that the gunman had, on multiple occasions, been reported to police for violent outbursts, sometimes by his own adoptive mother; and was still able to buy an AR-15 is simply unacceptable. This also calls into question the competency of local police for not taking proper action for a repeat offender. Feb. 14 will be a day that stays with me forever. Tragedy can emerge from anywhere, but so can hope. Soon, the news vans disappeared, and the flowers mournful families placed at memorials began to wilt. That was the most surreal part for me: watching everything fade. Now, every person in Parkland who cares carries the legacies of those 17 students and teachers with them wherever they go. Personally, I feel the weight of that when going to college. I choose to take action by how I live my everyday life. By treating every person I meet with kindness and respect, I attempt to feel the infinite value of all the souls around me. One mass shooting is too many. If we as a campus have any power to prevent them or more effectively keep each other safe, we must. Please take Wednesday’s drill seriously, and afterward, be sure to inform campus security of any improvements that may otherwise go unnoticed. You have the power. Use it.